Putting together an audio Bible is nothing new; the Christian industry has been doing that for decades. It’s been read by professional actors & voice artists, dramatized, and so on. Personally, as a hip-hop head, none of those mediums ever caught my attention. Now, of course, there were “sermon jams” that took popular preachers like John Piper or Paul Washer & put them to hip-hop beats that I found interesting. Not to mention guys like those over at Lamp Mode who made this a popular part of their albums. But, it wasn’t until I heard the Bible over hip-hop beats that my ears began to perk up. Why? Not just because it was the Bible over bangin’ beats, but because some of my favorite Christian emcees were the ones delivering the holy writ. What was this Bible over hip-hop beats that I was listening to? It was called Streetlights Bible & it was being promoted by the guys at Humble Beast. The first volume released covering the first few chapters of Genesis and the gospel of John. Then there was the first half of Exodus & the book of Romans. After that, I was hooked. Since then, they’ve released several more books of the Bible for your listening pleasure. But, not only are these guys creating audio Bibles, they’re creating a full multimedia experience. Recently, I had the opportunity to sit down and interview the guys over at Streetlights. So, after you check out this video showcasing their work, take some time and see what Streetlights is all about. For those that aren’t in the know, can you describe what Streetlights Bible is? Streetlights at its core is an Audio Bible. It is word for word scripture read in the New Living Translation set to a hip-hop soundtrack. In addition to the Audio Bible, we also create a Multimedia Curriculum, which uses audio, video and traditional curriculum tools to soundly teach God’s Word in a simple, clear and relevant way. 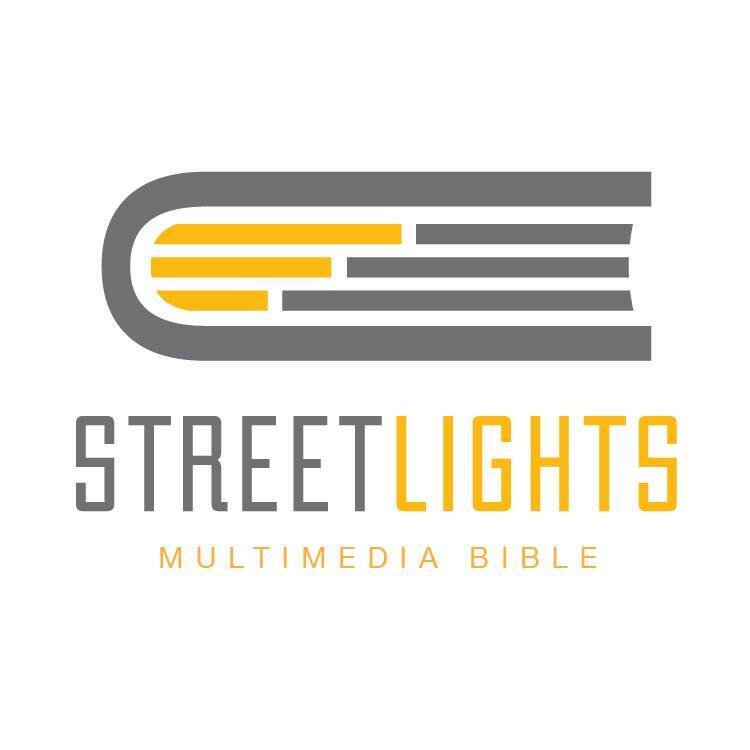 How did the idea for Streetlights Bible get started? About 10 years ago, our project director Esteban Shedd had a small group of high school guys reading through the book of Acts. In observing how his guys approached reading and discussing what they read in the Bible– reluctant, hesitant, and not interested – Esteban came to realize that the majority of his small group could not read; and for the few who could read, they couldn’t fully comprehend what they were reading. So, if these guys could not read, how could they interact with God’s Word? This question is what sparked the idea of Streetlights. Esteban went to his home studio, recorded the next week’s portion of scripture, placed a hip-hop instrumental underneath it, burned it to a CD and played it for his guys at the next small group. The response was like night and day. Not only did the guys’ ears perk up to hear scripture over a hip-hop beat, they were able to follow along and clearly understand what was going on in the passage. This is what fuels us at Streetlights, to deliver God’s Word in a format that anyone – regardless of literacy level – can understand. Not a lot of people have heard of the NLT, why go with that translation over something more popular like the NIV? We beta tested many different translations before deciding with the New Living Translation. And the two reasons we chose to use the NLT are one, this translation is the easiest to read and follow and still be a direct translation from the original Greek and Hebrew. Others were either paraphrases or way to hard to understand for our main demographic. And two, the publishers of the NLT, Tyndale House are local here in Chicago-land and they wholly believe and support our mission with Streetlights. You’ve had a lot of notable names drop their vocals and beats for this project. How do you decide who you’re going to work with? It’s all about relationships and locking arms with people whose intent is solely about forwarding the Scriptures. So everyone who’s been a part thus far has been about that: making God’s Word known, and believing that this project can play a small part in doing that. But in the practical sense, the vocalists who are a part need to be good orators and have a voice that is pleasant and interesting to listen to. Wth the producers, we approach those who we think are more than just “beat makers,” but producers who can actually soundtrack the Scriptures and have a pulse on the emotion of the text and themes being communicated. The list can get pretty slim because every rapper and poet (though we don’t limit ourselves to simply those two types of communicators) isn’t necessarily the best reader and communicator, and every beat maker isn’t the best producer. So we thank God for the generous team of artists he’s assembled to continually contribute to the project. After the New Testament is finished, do you have plans to finish the Old Testament, even some of those less popular books? There are plans to release more OT book this year in our upcoming 3rd volume of Multimedia Curriculum. We also have plans to begin releasing Psalms as well. So we’ll make sure to keep you all posted when those portions of Scripture will be coming. Aside from just getting the audio complete, what are future goals & dreams for Streetlights? Good question. Ultimately we desire to deliver God’s Word in the most accessible and relevant formats so that any and everyone can interact with God’s Word. Right now we make that available in Audio, Video and Curriculum formats as well as teaching, preaching and training formats for leaders and groups. Now, while we can’t tell you all the details, there will be new platforms and ways for people to interact with and share Streetlights tools this year. And this is something we are very excited about. Since you give the audio away for free, how can fans best support what you’re doing? People can always support the Audio Bible by purchasing it on iTunes and wherever digital music is sold. At our website we have a store stocked with our Multimedia Curriculum, CD’s, shirts and other items that fund what we do as well. But our biggest need is simply getting the word out. If you have downloaded the Audio Bible, share it with a friend, retweet it, IG it, simply tell someone about God’s Word in this format. That would be a big help to what we do.